I sometimes blow my lid. I'm only just a kid. My Top 3 Blog List for Parents!!!! "Flatter me, and I may not believe you. Criticize me, and I may not like you. Ignore me, and I may not forgive you. Encourage me, and I will not forget you. 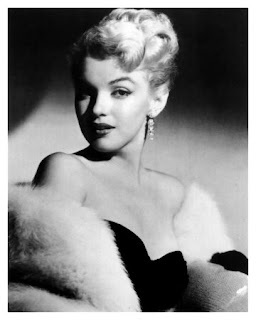 Love me and I may be forced to love you." I will be adding more quotes as I see them. It may start out as just a few but I'll keep updating and posting more! When it comes down to it, I let them think what they want, if they care enough to bother with what I do, then I'm already better than them. Just because you fail once, doesn't mean you're gonna fail at everything. Keep trying and believe in yourself! I was watching Anderson today and he had a bit on his show about a test you can take to see if you have an automatic preference for a certain race that you may not even realize on your own! On the show today they even had a test that they did with random kids in a school to see what they think was going on in a picture. And then they showed them the same picture with the kids race changed. Most kids changed the way they felt about the picture because of the color of the child skin in the pictures!! In other words: Make sure you have a talk with your children about Race! If you don't they will not know what is right or wring because kids look for different and similarities when they go thru life. So if you talk to your child and let them know that skin is nothing but a color. Everyone is the same! You wouldn't dislike someone because they are wearing a pink shirt when you are wearing a yellow shirt would you?? So why dislike someone because their skin is a different color than yours?? Those are a couple of questions I would like to ask a few members of my family that are racist. I took the test and got my results. It can be upsetting and surprising!!!! Will You Take it? I'll post my results if everyone will post their results. What do I think about my results?? Well I'm not upset by them. I am not racist at all and everyone who knows me knows how I feel about racist people. But I was raised by a few people who were and are still racist. So I guess that does play a tiny bit in how my mind works. But the test proved that I am not 100% more for whites then blacks. Just a tiny bit and from what the makers of the test said...."Most Americans have some sort of automatic preference for European Americans aka White Americans" Even African Americans have some sort of auto preference for White Americans. the test has proven it. Okay, Now lets see what everyone else's results are!!! And how do you feel about those results?? Walgreens is having a GREAT DEAL going on this week! It's called "7 Days of Deals!" 7 Days - 7 Different Great Priced Items! Click Here to goto The Walgreens Website and Get Your Prints!!!! This Easter my family is going down to Hudson, NC to my fiance's grannys house. We live in Candler NC (Asheville). I have decided that I want to do more than just go eat Easter dinner and hang out with the family. Don't get me wrong, I love hanging out with his family, they are so nice and treat me like Im part of the family...Well I guess I am part of the family, me and Alan have been together for almost 8 years and we have 2 daughters together :0) But I wanna go somewhere cool that Iv never been and take pictures. :0) So I googled Lenior (which is right outside Hudson) I found a few places that I would love to go but only 2 are going to be open on the days and hours we will be there. Tucker's Sculpture Streetscape Gallery and Fort Defiance. The Tucker's Sculpture Streetscape Gallery is open 24 hrs and is an outside gallery of sculptures!! It sounds really cool and Im sure that my daughters would thing it was cool also. The picture that it shows is a dog looking thing, it looks really neat!! My fiance has never heard of it and he was born and raised in Lenior/Hickory/Hudson! Fort Defiance is a restored 1792 house that was once owned by a Revolutionary War Hero named William Lenior. His name is how the city of Lenior got it's name. There is also an Elemtry School named after him. The house is said to have over 300 original house items and artifacts and is concidered one the countrys most uniques restorations!! It sounds really interesting to me but my fiance said that we probly wouldn't be able to make it there because it isn't excally in Lenior and it would take us about an hour to get there and we didn't have the time for a long trip like that. So maybe that can be for another day. Since Tucker’s is located outdoors, it’s open 24-hours, 7-days a week. Downtown Lenoir is more like “a town inside a gallery” with an outdoor gallery that adorns the downtown streetscape in an ever-changing outdoor gallery known as Tucker’s Sculpture Streetscape Gallery (named for the first settlement in Lenoir: Tucker’s Barn). Art is usually found inside buildings or art galleries, but Tucker’s Streetscape Sculpture Gallery displays pieces in planters along Main Street and West Avenue in Lenoir. The downtown gallery displays sculptures for a period of six months, after which they are replaced with new pieces. The artwork is available for sale, with new pieces being installed as sculptures are sold. 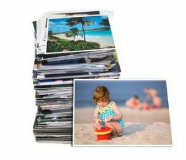 Even if pieces aren’t sold, they are replaced around every six months. The Museum is located in a 3 story brick building on the SALT Block in the right wing of the Arts and Science Center of Catawba Valley. 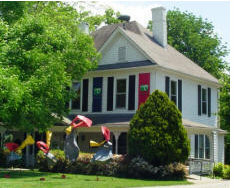 Daily admission to the Hickory Museum of Art is FREE. Group tours may be arranged in advance. For information on group tours and school field trip opportunities, e-mail or call HMA Educator Ginny Zellmer at 828-327-8576. Featuring a gallery with changing exhibits, the Council organizes and sponsors a national sculpture competition annually and organizes arts programming throughout the year. 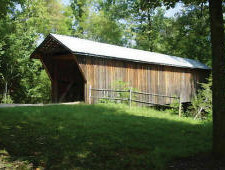 One of the two remaining covered bridges in the state and the only remaining example in the world of a 19th Century bridge utilizing the General Herman Haupt truss design. 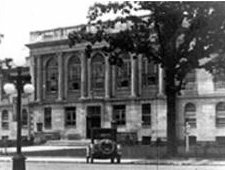 Maintains a state recognized museum program, preserves several historic sites, sponsors educational programs, maintains extensive archives, and publishes historical texts and pamphlets pertinent to the area’s rich history. Promotes cultural awareness of architecture in the community, while preserving historic sites and neighborhoods. Restorations are open to the public. Also holds an annual home and garden tour. 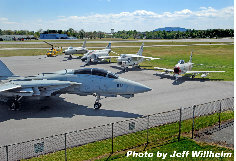 A collection of aircraft, equipment and personal items associated with aviation’s history. I had a wonderful Photo~Shoot ﻿onWednesday! I took photos of 2 little girls, sisters, and their aunt. It went sooo well! We was at Lake Junaluska in Haywood County. The scenery was very beautiful with the ducks and water along with the trees and buildings. We had a blast and the pictures turned out wonderfully! Now I'm just waiting on a responce from the family so I can make the picture order :0) Im so glad that the pictures come out so good. They have givven me permission to post these photos so here are a few of my favorite shots! :0) Arnt these gurls just ADORABLE???? "Easter On The Green"is on Saturday, April 7th from 2pm to5 pm in downtown Asheville on the Roger McGuire Green at Pack Square Park. Music, big Easter egg hunt, entertainment, along with games more that is sure to be alotts fun! The Easter eggs will have freebies and prizes such as gift certificates, donated by the downtown merchants. The Easter Bunny will also show up for Pictures!Everything is FREE!!!! The Grove Park Inn will be having an Easter Egg Hunt on Easter, Sunday April 8th, in the Grand Ballroom at 10:00 am, $10 per person Bring your own basket or one will be provided for you! They will also be having an Easter Party & an Easter Hat Making Activity. Both cost $10 a person! !